Živa and Saša from Dorimu are a sweet couple from Austria who together create the most whimsical little works of art — tiny (tiny!) little needle-felted fairies. 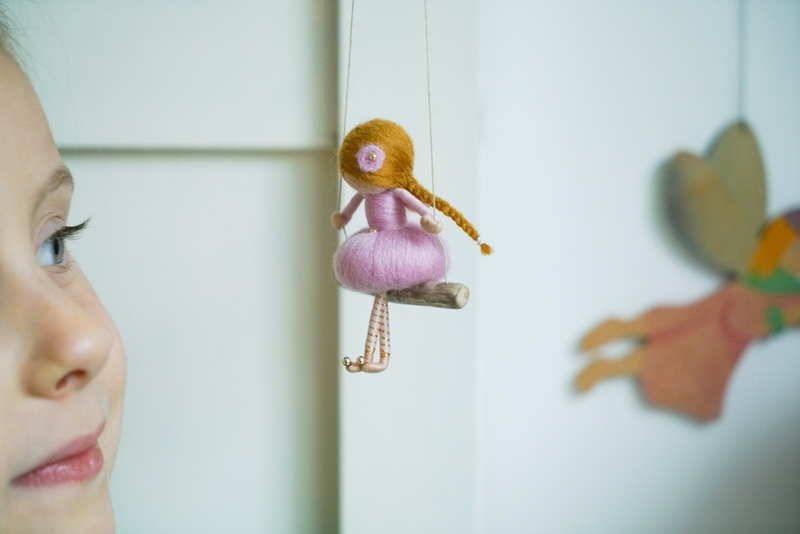 Made from wire, thread and wool and with details made of pearls, the little fairies are so stunningly beautiful. They sit on little pieces of driftwood, and have a clever hanging system involving a self-adhesive magnet, which will allow the fairy to be hung in any space it is desired, where it will gently swing away. Živa and Saša made Ava her own little fairy, and when it arrived (beautifully presented in a gorgeous gift box), the level of care and detailing with which these fairies are created became even more apparent. We all were marvelling over the perfection of everything! We hung Ava’s fairy next to her bed, so she can listen to her stories and keep her company when she is sleeping. oops couple of typos…Austria and pearls… these are so beautiful!